Nestled in an enclave of four homes sits this home on a private drive cul-de-sac lined by mature trees and beautiful scenery. This custom-built home abounds with exceptional craftsmanship! As you enter the side door and through the mudroom you'll enter into the oversized kitchen. The kitchen is a chef's dream with double oven, ice maker and Wolf gourmet stove. Radiant heated floors throughout the main level as well as a stone fireplace insert in the family room make this home cozy and inviting. A formal dining room, family room and living room round out the first floor. Upstairs, the master bedroom suite offers a full private office, a sitting area, a large walk in closet with built-ins and master bathroom. Enjoy your morning coffee on the deck off the master bedroom as you take in the beautifully landscaped yard and amazing scenery. Three additional bedrooms and a full bath complete the upper level. This home also has a large basement with 9 ft ceilings, radiant heated floors and an oversized 2 car heated garage. Hardwood floors are throughout the entire home! New paint, new appliances and a brand-new walkway are just a few of the recent upgrades. You'll enjoy the stunning landscaped yard, beautiful stream, and privacy of almost 4 acres of land. Take a stroll through the 37 acres of community shared land that is protected by the Bucks County conservation easement. 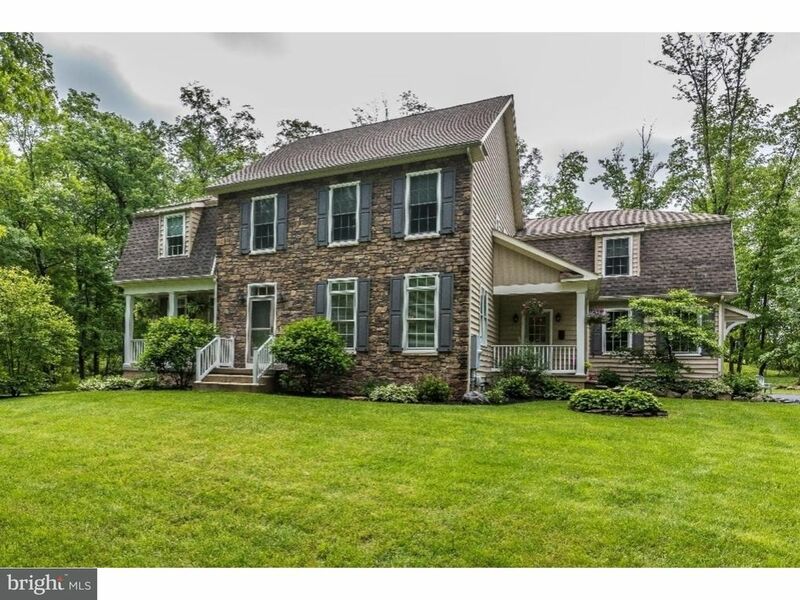 A true Bucks County gem in the heart of Bedminster!